In this Part we will explore the meaning of the 29th Shloka of Sri Vishnu Sahasranamam. ‘Shobhanah bhujaah Jagadrakshaakaraah asya asti iti Subhajah – His arms are beautiful and mighty and they are employed in the protection of the whole world’. Sri Adi Sankara thus links his arms to the function of world protection. Sri Adi Sankara extends this to refer to the protection of the whole world. Swami ChinmayAnanda refers to the beauty of the arms that always protect and bless his devotees. (Abhaya and Varada hastha). Sri Parasara Bhattar interprets the majesty and strength of His arms to always shoulder the burden of those who seek refuge in Him. Swami ChinmayAnanda refers to the beauty of the arms that always protect and bless (Abhaya for protection and Varada for bestowing his grace). Sri Radhakrishna Shastri describes the beauty of the arms that are always ready with the (weapons) for the protection of the devotees lest there is any delay when the need arises to use them – Paatu pranata rakshaayaam vilambam asahanniva, sadaa pancaayudheem bibhrat sa nah Sriranga naayakah. The writer in Dharma Chakram points out that the term Subhuja refers to the hands of MahaVishnu that carry the Sankha, Chakra, Gadha and Padma. The Sankha reminds us of the Om-kara or Pranava mantra. The Chakra protects those that follow the path of dharma and destroys those who follow the path of adharma. 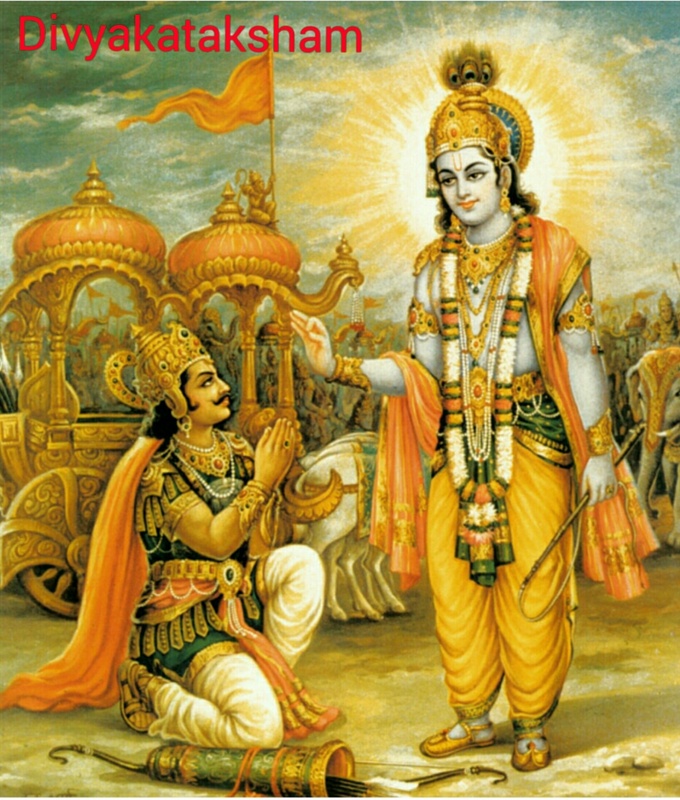 The Gadha functions to discipline the evil, and the Padma shows His sweet disposition towards those who seek Him. This Nama has several meanings. Sri Adi Sankara gives a flowing description of this term ‘Prithivyaadeeni api Lokadhaarakaani Anyaihi dhaarayitum Ashakyaani dhaarayan na kenachit dhaarayitum shakyah iti Durdharah – He is able to shoulder such extraordinary burdens that even a load bearer like the earth cannot carry Him and no one is powerful enough to match Him’. Sankara’s second interpretation for this name is ‘Duhkhena dhyaanasamaye mumukshubhih hridaye dhaarayate iti vaa Durdharah – even great Yogis find it difficult to hold Him in their hearts during meditation’. Sri Parasara Bhattar who interpreted the previous Nama in terms of the strength of His arms continues with the same thought and for this Nama too. He interprets this to indicate that His strength is immense like the force of the gushing waters of a great ocean against a dam made of play sand. Swami ChinmayAnanda interprets this as one who is difficult to comprehend even by the great Yogis. 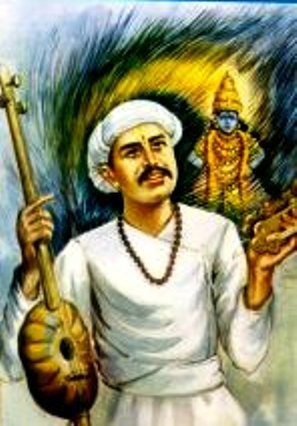 Sri Adi Sankara says ‘Yato Nisrutaa bramhamayee Vaak tasmaad Vaagmee – He is called Vaagmee because divine words emanated from Him in the form of Vedas’. Similar words originated from Bhagavan in the form of Bhagavad Gita hence called ‘Song Celestial’. His powerful words were able to persuade the confused Arjuna to fight after he had laid down his arms in a state of utter despair. Vaagmee also implies that His words are sweet and kind – Buddhimaan Madhurabhaashee Poorvabhaashee priyamvadah – Rama is wise and speaks sweet words – This is a description from AyodhyaKandam 1.13 of Valmiki Ramayanam. “Achyuta! By your words of guidance my ignorance has now gone; I have regained my composure, and now I am steady and free from doubt and am ready to follow your instructions”. Such is the power of Bhagavan’s words. Hence He is Vaagmee. Sri Adi Sankara’s interpretation for this Nama is ‘Mahaan cha asau Indrah cha iti Mahendrah Eeshvaraanaam api Eeshvarah – He is a great Indra or the Lord of all Lords including Indra’. The root from which this Nama is derived is idi – paramaiSvarye – to own great wealth. Since He pervades everything in many different ways, He is the Lord of everything. He is also Mahendrah because He is the Lord of Indra, who is the representation of strength, which is one of the six qualities of SrIman Narayana. Sri Satyadevo Vasishtha gives a second interpretation based on indhee and deeptau meaning to shine and kindle. Thus He is Mahendrah since He is the one who kindles the light in every being or is the light in all beings. Sri Adi Sankara puts it ‘Vasu dadaati iti Vasudah – He is Vasudah because he bestows wealth on his devotees’. Brihadaranyaka Upanishad says ‘Annado Vasudaanah – He accepts the offerings of his devotees and gives them great wealth’. He is the one who bestows His wealth to the devotees without their asking for it. 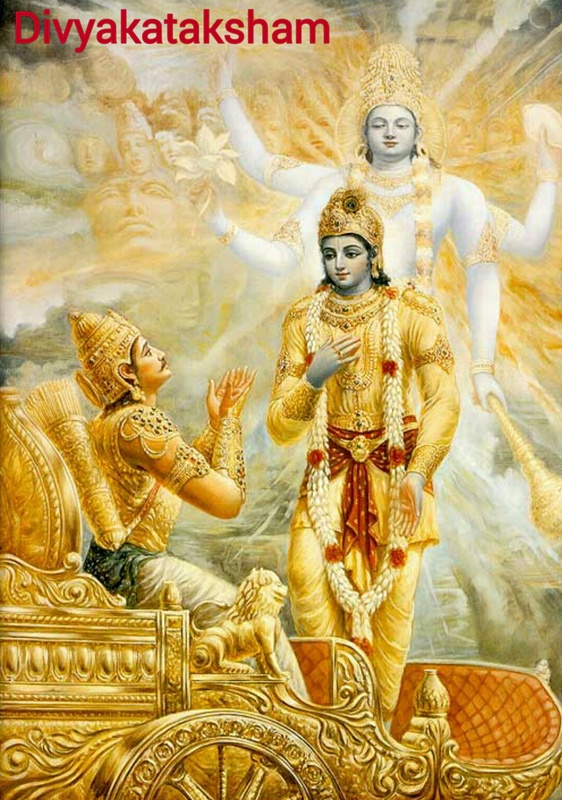 He can give the lordship of the three worlds to a devotee, or He can also fulfil the desires that devotees seek of Him. Sri Satyadevo Vashishtha points out that this act of Bhagavan giving wealth to everyone is a model for us to emulate. For instance, when one does vastradhanam, or annadhanam, or imparts knowledge to another, it is the influence of the Lord’s act of giving. Once a fruit seller came calling loudly to draw attention so that someone may buy her fruits. It was tiring day and she had not sold a single fruit. The poor lady was feeling weak and tired. Just then little Krishna came out and enquired the old lady as to what was she doing there. She explained that she is a fruit seller and immediately Krishna said to her that he will buy all her fruits. She said that he will have to pay money for it. Krishna asked her, what did money mean? Tears of joy came pouring out of her eyes; she said, “You are too innocent son”. She went on to explain that, as he didn’t know the meaning of money, he will have to give me something in return for the fruits. Krishna asked what can be something in return. She started crying more profusely. She said “You will have to give something if you take something from somebody”. 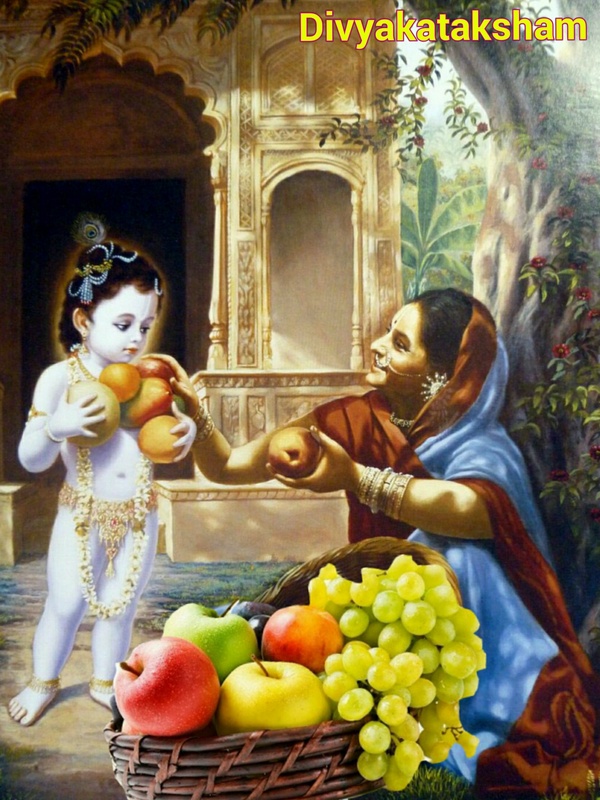 Understanding the meaning – as giving something in return for something, Krishna walked with an endearing smile and sat down on the lap of the lady saying that “You can take me in return for fruits”. Now, the lady was full of tears of joy and she felt the divine energy all through her body. She was happier, satisfied and content. Krishna then stepped down and said he will be back soon. Krishna came back with some food grains in his tiny palms. He could hardly hold that little quantity with grains falling on the floor along the way. Krishna smiled and gave her the grains and she tied them with cloth. She gave Krishna the fruits and covered her empty basket with a cloth and set out for home. And she went home saying to herself what a great day it was and she felt that it was the best business deal of her life. As she uncovered the cloth over the basket, she found that the empty fruit basket was full of precious jewels! She overcame with joy and tears flowed uncontrollably. When we give something to the Lord selflessly, HE gives us many folds in return. Such is Lord’s grace and hence He is called Vasudah. In the previous name we have seen that he is the giver of wealth and here we see that he is himself the greatest possible wealth. As Sri Adi Sankara puts it ‘Deeyamaanam tad vasu api sa eva – He himself is the wealth that he gives’. He also says ‘Aacchaadayati aatmasvaroopam maayayaa iti vaa vasuh – He hides his real form using Maayaa’. He also brings out the other meanings such as living in the sky and also as wind as he has no fixed abode. This verse is very nicely explained in the Third Chapter of Svetasvatara Upanisad: “In this body there are powers of speaking, of seeing, of hearing, of mental activities, etc. But these are not important if not related to the Supreme Lord and because Vasudeva is all-pervading and everything is Vasudeva, the devotee surrenders in full knowledge. From the next Nama, Sri Paasara Bhattar interprets the Namas as illustrations of the cosmic form or the Vishwaroopa of the Lord. This Nama consists of 3 parts Na+Ekam+Roopam. So Sri Adi Sankara gives the interpretation ‘Ekam roopam asya na vidyate iti Naikaroopah – He does not have a single specific form. Hence he is Naikaroopah’. He assumes an infinite variety of forms. Brihadaaranyaka Upanishad says ‘indro maayaabhih pururoopa eeyate – He takes any form using his powers of Vishnumaya’. 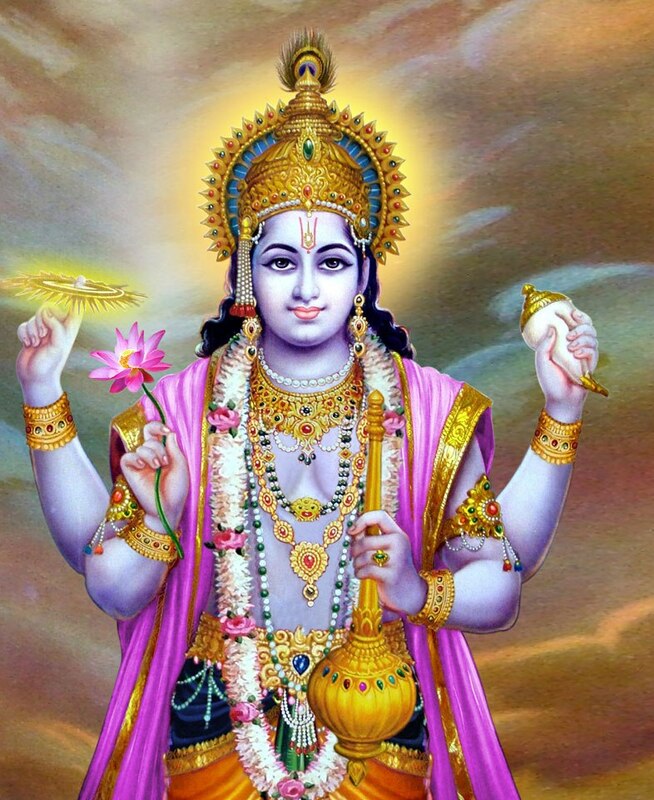 Vishnu Purana says ‘Jyoteemshi Vishnuh – all bright objects are Vishnu in character’. ‘paSyAmi tvAm sarvatah ananta rUpam – I see you everywhere with your endless forms’. Sri Radhakrishna Shastri expresses his comment on this Nama by pointing out that this aspect of assuming multiple forms is consistent with and even necessitated by His role as the Giver of wealth to everyone. He needs to be in multiple forms and at multiple places at the same time in order to bestow his blessings on his devotees. Brihad means extremely large and roopa means form. 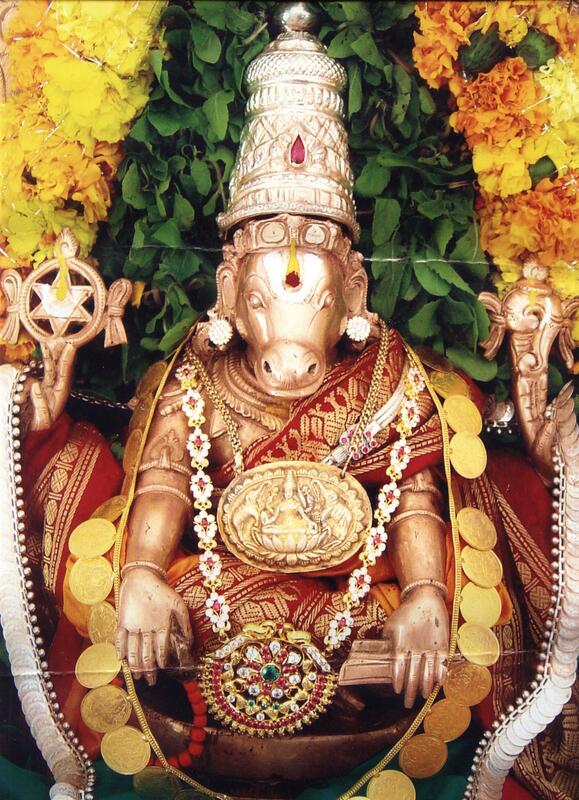 So Sri Adi Sankara’s interpretation is ‘Brihan Mahat Varahadi roopam asya iti Brihadroopah – He is Brihadroopah because he assumes mammoth forms like Matsya the gigantic fish; the Varaha or the Great Boar that saved the earth from the Demon Hiranyaaksha’. 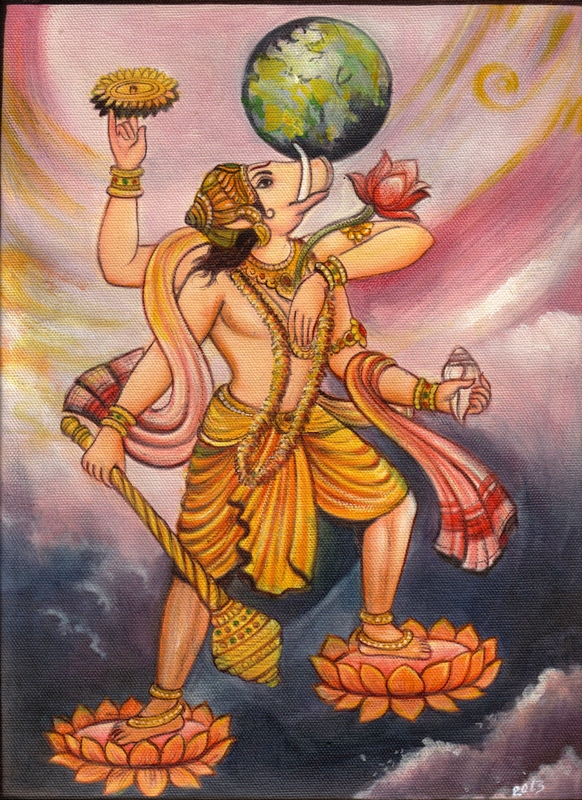 Another example of his large avatar is the Trivikrama avatar where he transforms from a dwarf Vamana to become the gigantic Trivikrama and covered the entire earth with a single step. 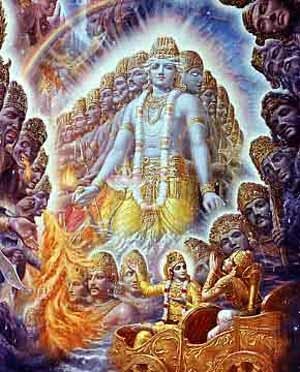 Swami Chinmayananda gives the Purusha Sooktam passage – atyatishthat dashaangulam – He is not only of the total size and dimension of the Universe but He stands beyond it by ten measures. The Dharma Chakram author points out that to “see” this brihadroopam (the enormous size), the mortal eyes are not sufficient, and it is thus that we do not just see Him but have to experience Him. The more we feel this immensity of His Nature and His all-pervasiveness the more we will get out of this “small” world and our small pleasures. Some writers like Shri T S Krishnamurti have also translated the term brihad as mysterious so Brihadroopah is interpreted to mean someone of a mysterious form. The word ‘shipi’ has two meanings namely rays and animals; so Shipivishtah will have 2 meanings depending on the meaning of Shipi. Accordingly Sri Adi Sankara gives the first interpretation as ‘Shipayah pashavah teshu vishati pratitishthati iti Shipivishtah – One who has pervaded the animals used in sacrifices or Yagnas’. Taittriya Upanishad says ‘Yagno vai Vishnuh Pashavah shipih yagna eva pratitishthati – Yagna is the embodiment of Vishnu and He fully takes over the animals used in the Yagna’. He goes on to give the other interpretation ‘Shipayah Rashmayah teshu nivishtah iti vaa – He shines in the rays of any illuminated object since he is the source of all illuminations as the next name indicates’. Sri Parasara Bhattar builds on this further by saying that Bhagavan is Shipivishtah because He is in every form of rays, for example the Sun’s rays or the rays emanating from fire, etc. ‘Sipayah – rashmayah, taan sampravishtah – vyaaptavaan iti Shipivishtah’. He quotes Yaska from nirukata to support this – Shipayo rashmayah uchyante, taih Aavishtah. Sri Adi Sankara says ‘Sarveshaam Prakaashana sheelatvaat Prakashanah – He is Prakashanah because he illuminates all things and makes everything visible’. Our eyes see everything because of his grace. According to Sri Parasara Bhattar this name means that Bhagavan shows His celestial form to Arjuna and others who long to see it. However, in the Bhagavad Gita Chapter 9 Verse 25, Krishna clarifies by saying ‘Naaham Prakaashas Sarvasya Yogamaya Samaavritah – I am not visible to those who are deluded by Maya’. We have to submit to Him before He reveals Himself. The Dharam Chakram writer points out that the illumination that He provides is the path that leads to His realisation. 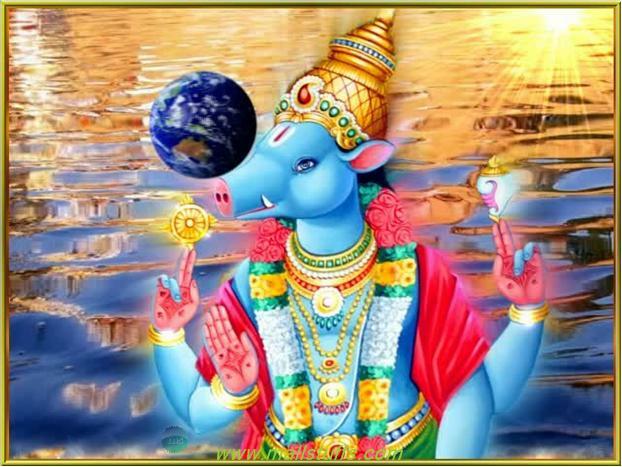 Bhagavan has majestic arms that protects the world. HE is Durdharah as He is able to shoulder such extraordinary burdens that even a load bearer like the earth cannot carry and no one is powerful enough to withstand his force. 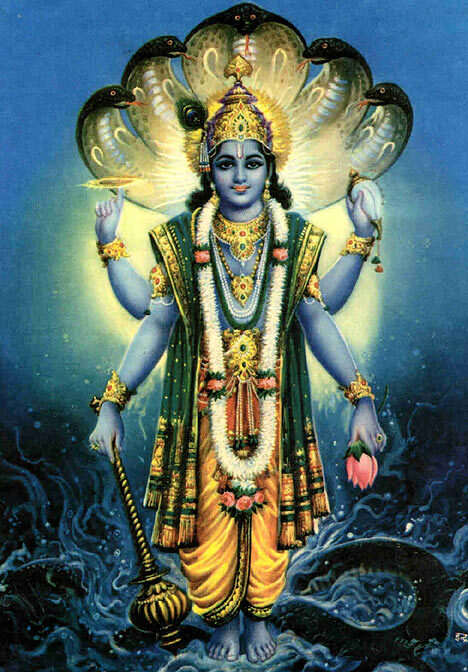 The Lord is Vaagmee because divine words emanated from Him in the form of Vedas. He is Lord of Indra and Lord of the Lords. While He is a giver of wealth and He also gives himself as wealth to the devotees who seek him. He has infinite forms as he has to be everywhere at all times as He is the giver of wealth. He takes gigantic forms in order to protect the world and his devotees. He shines in the rays of any illuminated object since he is the source of all illuminations. Thank you sir! Superb story of little krishna. Nice narration & images too. Hari Om! Hari Om Uncle! I liked the story of Krishna & his cute little hands taking grains for the lady dropping it all the way is so beautiful Uncle. Thank you so much. Hari Om Uncle! wonderfully explained ! Thank you.